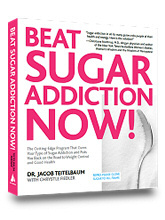 Book: Beat Sugar Addiction NOW! In the United States, with approximately 18% of the average American diet coming from added sugar, this is becoming the rule rather than the exception. Many people eat their weight in sugar every year. And it may be why you are tired, achy, brain fogged, anxious and unable to lose weight. To beat sugar addiction, first you’ll need to figure out which type of sugar addict you are. Simple quizzes in the book will quickly let you know. Beat Sugar Addiction NOW! then offers clear and simple directions on what to do. 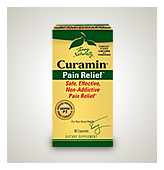 This includes natural therapies, simple lifestyle changes, as well as directions for your inner journey — a journey that will heal not only your body but also your mind and spirit. A journey that will change your life! When daily fatigue causes sugar (and caffeine) cravings, sometimes all you need is to improve nutrition, sleep and exercise. When your energy increases, you won’t need sugar and caffeine for an energy boost. Beat Sugar Addiction NOW! will teach you how to turbo charge your energy in an easy and healthy way. QUIZ: ARE YOU A TYPE 1 SUGAR ADDICT? QUIZ: ARE YOU A TYPE 2 SUGAR ADDICT? QUIZ: ARE YOU A TYPE 3 SUGAR ADDICT?